CLOSEOUTS. 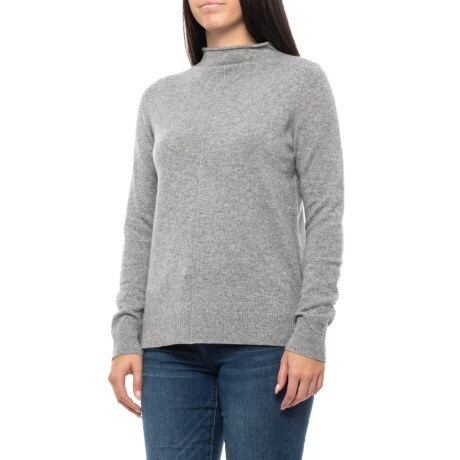 Max Studioand#39;s cashmere funnel neck sweater combines a classic pullover silhouette with the sumptuously soft and cozy feel of cashmere for a step above the traditional casual layer. Available Colors: STEEPLE GREY HEATHER. Sizes: S, M, L.